This workout is an entry in our annual Bootcamp Ideas competition from Janine Tolhurst. Each participant has one set of dumbbells (or more if they want to modify/challenge themselves). Exercises are done in AB-AB format as quickly as possible with good form. I encourage each participant to work at their own speed. Clients that finish a set sooner perform active rest until everyone has completed the set then we move on as a group. Each set is performed first for 2 reps each, then 4 reps, then 6 reps…increasing by 2’s until they have completed 12 reps of each exercise. Early finishers perform active rest exercises until the entire group is ready to move on. Starting back at the top of the order, repeat each exercise for 12 reps with no rest between exercises. Early finishers plank until the entire group is done. My name is Janine and I’m only a part-time trainer but a full-time lover of fitness! I love to challenge myself and I have a passion for helping others design and reach their fitness goals. Synergy Fitness is a small side business I started with my husband when he wanted to have his own martial arts dojo. In order to make the business viable he needed a partner. 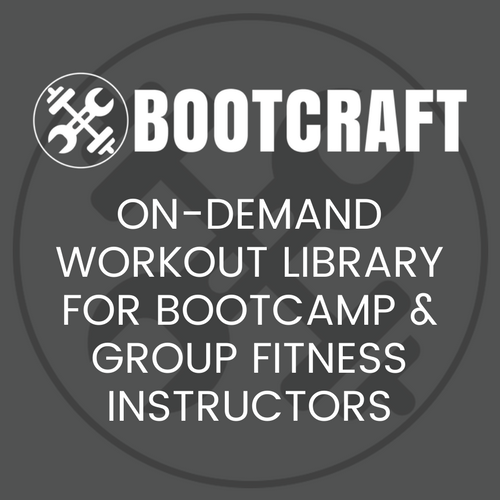 So, I quit my job as a trainer for another local gym and started up my own bootcamp classes. It was meant to be short-term until his classes took off but 5 years later I’m still loving every minute of it! We both have full-time careers during the day so running the business in the evenings and weekends can be trying but the trade-off of fitness and friendship is worth it!